Myers was in a tizzy back in August over Coral Ridge’s Darwin’s Deadly Legacy. Why the hypocrisy? If Myers does like his religion being linked with Hitler, why is he not upset with Dawkins equates atheism to scientists. In Dawkins’ new book The God Delusion, he writes. Much unfortunate confusion is caused by failure to distinguish what can be called Einsteinian religion from supernatural religion. Einstein sometimes invoked the name of God (and he is not the only atheistic scientist to do so), inviting misunderstanding by supernaturalists eager to misunderstand and claim so illustrious a thinker as their own. The dramatic (or was it mischievous?) ending of Stephen Hawking’s A Brief History of Time, “For then we should know the mind of God”, is notoriously misconstrued. It has led people to believe, mistakenly of course, that Hawking is a religious man. The cell biologist Ursula Goodenough, in The Sacred Depths of Nature, sounds more religious than Hawking or Einstein. She loves churches, mosques and temples, and numerous passages in her book fairly beg to be taken out of context and used as ammunition for supernatural religion. She goes so far as to call herself a ‘Religious Naturalist’. Yet a careful reading of her book shows that she is really as staunch an atheist as I am. Apparently Myers didn’t get this memo from his idol. There are many who claim to be religious, such as Einstein, Hawking, and Hitler, but have no theistic beliefs. Imagine that. This is the ultimate in hubris. For any thinking person, reading Dawkins book ought to convert them to theism, because a thinking person would read Dawkins arguments and say “is this it? Is this the best that an atheist can offer? What drivel…theism must be more solid than I realized!” Probably not the reaction Dawkins would want!! a thinking person would read Dawkins arguments and say “is this it? Is this the best that an atheist can offer? What drivel…theism must be more solid than I realized!” Probably not the reaction Dawkins would want!! 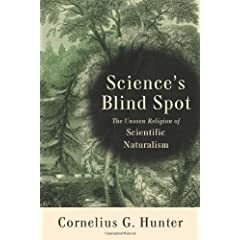 It seems that rather than Christians being the unthinking ones it is usually the Darwinists who are not allowed to question their religion and High Priests. Even to the point of being attacked legally if they dare to question their received orthodoxy. It’s quite ironic really. Now, who said that God doesn’t have a sense of humour? Neanderthal is Still an Evolutionary Dead End When is a Skeptic not a Skeptic?